The first composer to win the American Academy in Berlin Prize, Laura Schwendinger is a Professor of Composition at UW Madison. Her music has been performed by world-class ensembles and artists including the Berlin Philharmonic, Franz Liszt Chamber Orchestra, New Juilliard Ensemble, Dawn Upshaw, Eighth Blackbird, Boston Musica Viva, the Arditti Quartet, and the American Composers Orchestra, among many others. 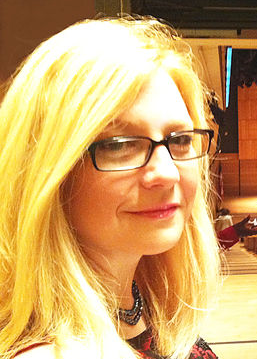 She has been the League of American Orchestras Composer in Residency with the Richmond Symphony. Her numerous honors also include awards from the Guggenheim, Koussevitzky (2), and Fromm Foundations; the Copland House, Harvard Musical Association, Chamber Music America, and two American Academy of Arts and Letters awards.